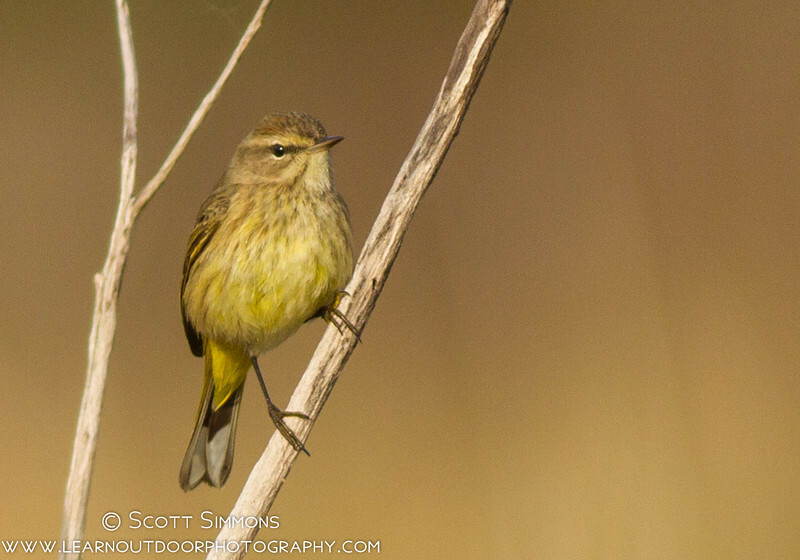 In Florida, we have the pleasure of being inundated by Palm Warblers throughout the Winter and Spring. You can almost always count on seeing them bobbing their tails and distracting you from your quest to find rarer wintering birds. 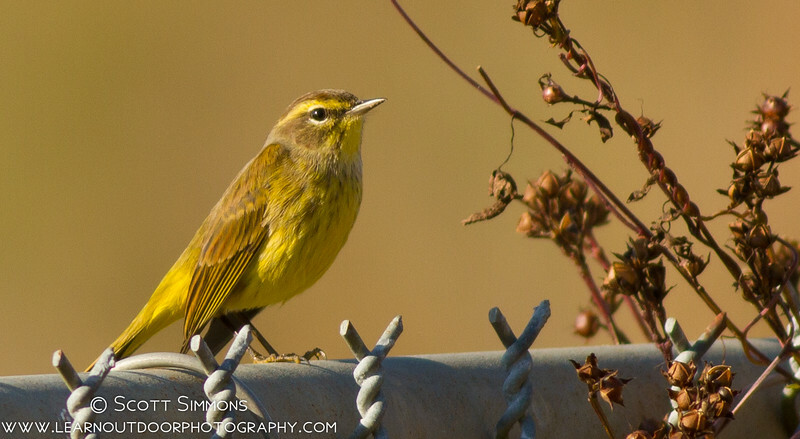 What I find most interesting about is species is that there are two distinct populations of Palm Warblers: a "western" subspecies and an "eastern" (or "yellow") subspecies. 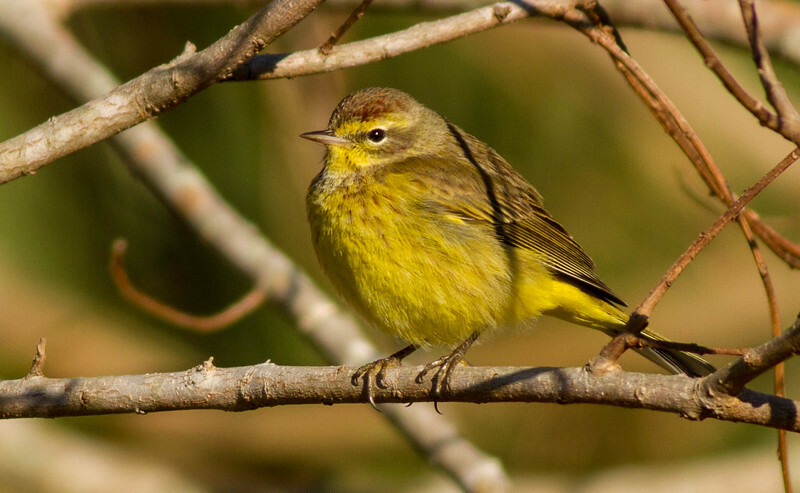 While there appears to be a good deal of variety, eastern birds are much more yellow. I find it easiest to identify them by looking at their supercilium, or eyebrow; eastern birds have a yellow eyebrow. 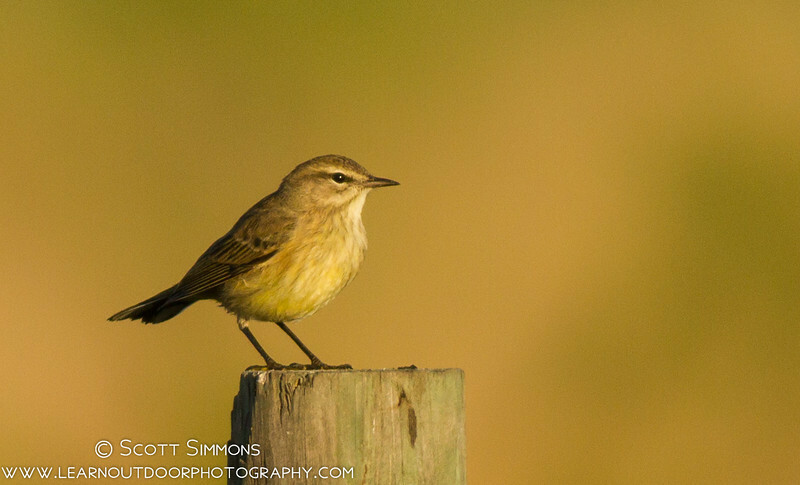 Western birds, though, are rather drab in their coloring. 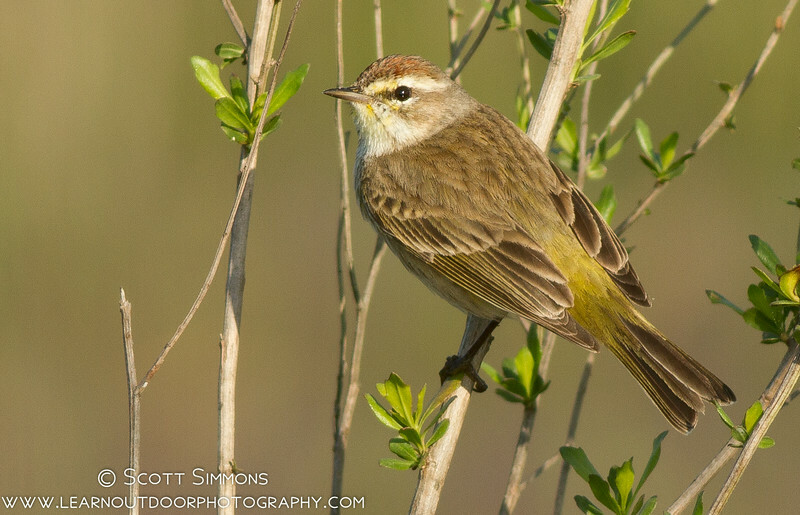 Western Palm Warblers are much more common than Eastern Palm warblers in Central Florida; I haven't done a scientific study of them, but I would guess from my eBird checklists that western birds outnumber eastern by at least 50:1. When I do find the western subspecies, though, they are usually in drier, grassier habitats, rather than marshes and other wetlands. Since Florida is on the East Coast (and I live in one of the more eastern counties of Florida), you might wonder why we get so many "western" birds and so few "eastern" birds. Well, it turns out that the subspecies are named after their breeding ranges, rather than their wintering ranges. Western birds breed north of the Great Lakes (from Ontario west), while eastern birds breed north of New England. But western birds migrate southeast toward Florida for the winter, and eastern birds migrate southwest toward Louisiana and eastern Texas. You can actually see a map of their migration paths here. 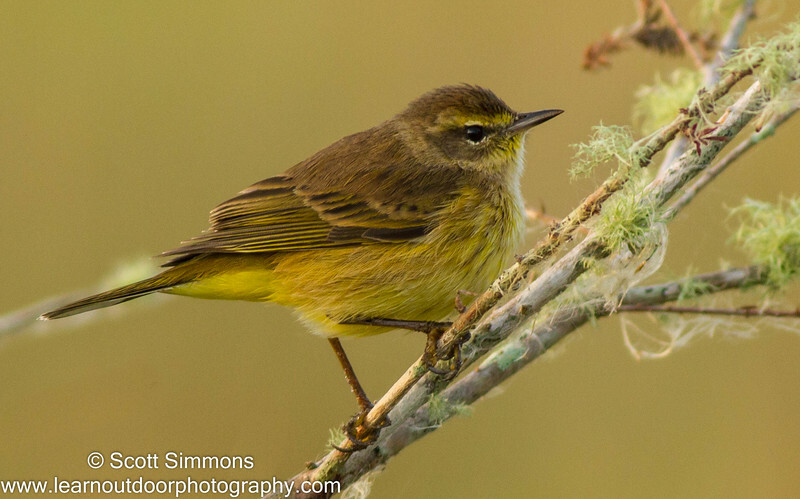 So for me, this adds a little bit of interest to birding for warblers in Florida's winter. A little extra yellow goes a long way. 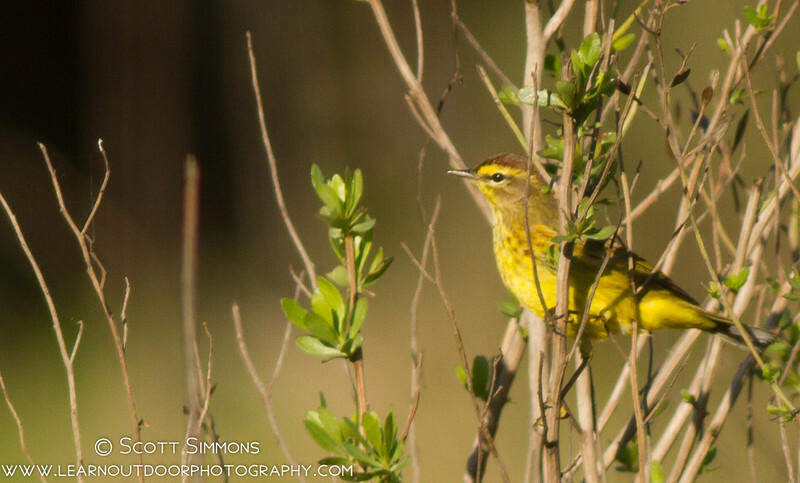 When vacationing in Florida, it is always a pleasure to see these pretty warblers. Fantastic photographs, as always, Scott!